Goals of this audiobook and lessons: To experience wholeness and know and accept that it is your right. To learn to activate and clear the chakras which are the energy centers of the bodies; physical, emotional, mental, ethereal. Giyame offers the healers and the client the option of being open to all methods of self-knowing and methods of healing. I use stones, crystals, feathers, drums, chanting, light, dream work, memory retrieval, energy readings; whatever is most comfortable for the client and myself. Many methods are based on memories of healing in past lives and given to me by my guides. A Spiritual Evolution is happening. It's important that we change, now. We are creating our world one thought, one choice at the time. In order for the energy to shift, we are what must change. Our thinking, feeling, believing, and doing must change in order for us to bring about a new creation. I make you this promise; apply these lessons to your life. Do the course, then do it again. Let it be absorbed into your very soul. This will change you. Your change changes everything else. This is your power, your ability to help transform the whole world. I would indeed! Starting from the ground up, this book gives you the tools needed to navigate one's reality more effectively. I felt like I was at a congressional hearing, except the subject was spirituality as opposed to stuff that doesn't matter. Have you listened to any of Priscilla Finch’s other performances before? How does this one compare? I haven't, but I will in the future if I develop insomnia. Only kidding, you go girl, a literate woman is difficult to find! Absolutely! So many I can't possibly count. What made the experience of listening to A Journey Back to Self: Living Consciousness the most enjoyable? Can be done in stages, is fantastic one liners., key phrases like Verbal errors abuse was helpful. donna what a wonderful book, You have amaized me dear gal much love. It is so fantastic this book can be used over and over. What does Priscilla Finch bring to the story that you wouldn’t experience if you just read the book? having a loving narrator like Priscilla is wonderful . her voice is soothing inviting. I find it easier to listen to a book than read it. I was touched by the navel stone healing , using red stones for a week did release blockages, so many helpfull energy clearing statements. I love the mirror heart that stops arguments in their track. Practice help homework to review what things worked, Do we see a link between others and our own defense. a must use practical guide for all healing practitioners and self healing for own use. Love the healing heart section. "true harmony is the key"
If you could sum up A Journey Back to Self: Living Consciousness in three words, what would they be? Myself because I am the main and most important character in this book. What about Priscilla Finch’s performance did you like? I enjoyed her narration very much. What did you learn from A Journey Back to Self: Living Consciousness that you would use in your daily life? I learned the importance and value of self-assessment as often as possible and journaling for tracking progress in my personal growth. I also understand now that inner balance and peace results in outer balance and peace. I have read many self-help books over the years but this one is different because it is not simply full of motivational words. The author makes it very clear that change only takes place when effort is put in to change (eg. doing the homework after each chapter). Change is uncomfortable, no doubt, but if you want a better life in all areas then I suggest you get this book, put in the effort one step at a time and reap the rewards. As your inner world changes so too will your outer world. Priscilla has a very soothing voice that lends itself to the encouragement and wisdom in this book. Not just a "self-help" book full of sweet fluff and rainbows. Practical advice on how to really make a difference in your own life and the lives of others. A healer's best friend. 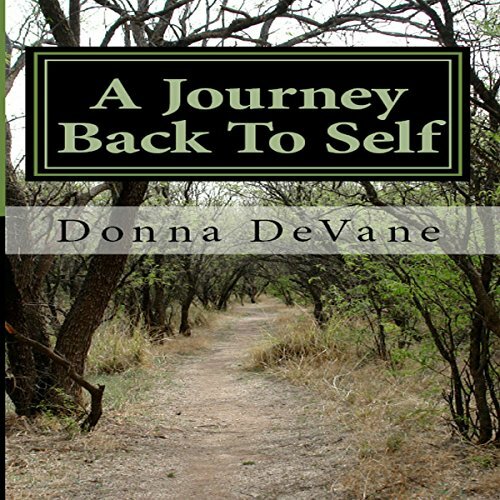 Donna's writing style is as she talks - as a teacher, a healer and a friend.